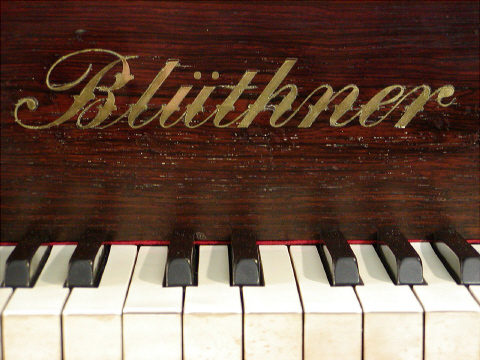 Blüthner, 1877, Leipzig. 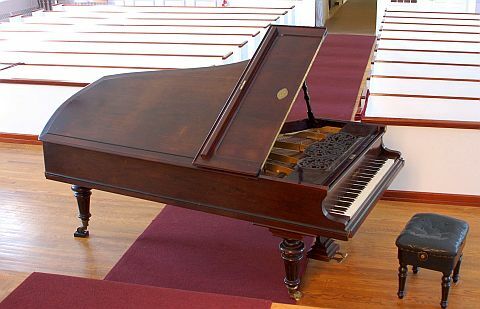 This piano has an unusual string layout; the lowest eighteen notes are flat-strung, while the next thirteen are overstrung. 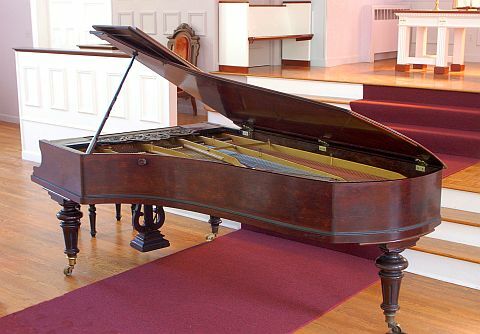 Originally it was fitted with Blüthner's patent Aliquot string system; these were strings tuned in unison with the highest notes, then an octave higher than those to the E below Middle C. Mounted just above those struck by the hammers, the Aliquot strings were activated by sympathetic vibration during loud playing. At some point the Aliquot strings, the agraffes (the guides that carried them), and their tuning pins were all removed and the tuning pin holes filled with wood putty. 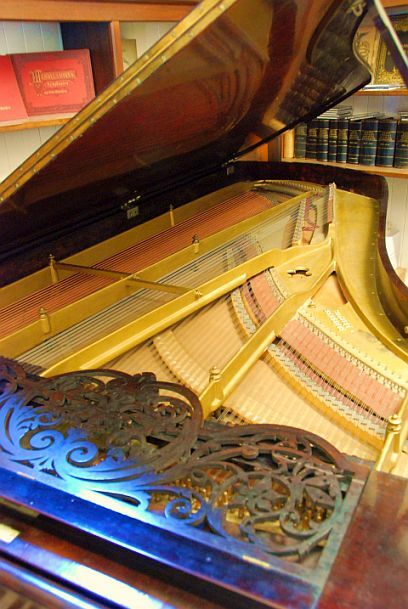 Restoration of the Aliquot system, while not necessary to the musical function of the piano, is desirable for the instrument's integrity.